Constructed from 304 stainless steel making it easy to clean. Waste outlet with plug, chain and overflow. 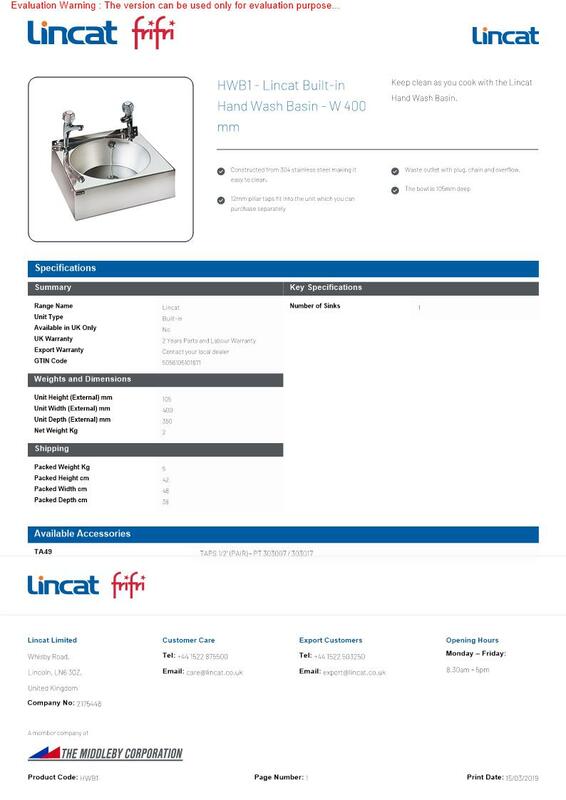 Keep clean as you cook with the Lincat Hand Wash Basin.